A federal judge in Los Angeles is expected to hear arguments Monday in the ACLU’s emergency lawsuit calling for an end to what it describes as the “unconstitutional denial” of attorney access to immigrants being detained by the Trump administration at a prison complex in the High Desert. 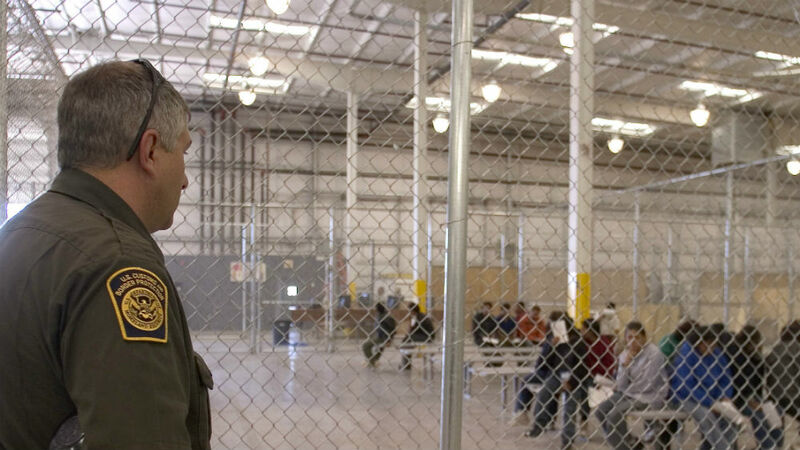 According to the complaint, hundreds of immigrants were moved from detention facilities to the medium security federal prison in Victorville, which is about 60 miles northeast of downtown Los Angeles. In a victory over the government’s “zero tolerance” detention policy, U.S. District Judge Otis D. Wright II on Thursday approved a temporary restraining order compelling officials to give the detainees access to legal help. In his ruling, Wright wrote that the detainees “will suffer irreparable harm” if blocked from consulting with attorneys. At Monday’s hearing, lawyers for the American Civil Liberties Union of Southern California are expected to ask Wright to extend the restraining order. As part of his order, the judge specifically said that attorney Gabriela Lopez must be permitted to meet with her client, detainee Gustavo Rodriguez Castillo, by phone or in person. Before the emergency lawsuit was filed, she was not permitted any communication with Castillo. The emergency lawsuit — filed against officials of the Department of Homeland Security, Federal Bureau of Prisons, U.S. Immigration and Customs Enforcement, and others — argues that the actions of the Trump administration in holding detainees without access to lawyers violates the Fifth Amendment’s Due Process Clause, the First Amendment, federal detention standards, the Administrative Procedures Act, and the Immigration and Nationality Act. Legal assistance is especially essential for non-citizens trying to navigate the notoriously complicated immigration laws and regulations that are commonly considered second only to the tax code in complexity, the suit argued. The legal help is particularly critical for asylum seekers who face deportation to a country where they might be persecuted, tortured or killed, the ACLU said.